Looking to book a Disneyland vacation? Click below to get the best prices for your trip! Our favorite place in Disney’s California Adventure is Cars Land. My boys are absolutely obsessed with all things Cars and I love all the darling detail put into Cars Land. Seriously, it looks just like Radiator Springs from the movies! The last time we were at Disney, we were sweating in the heat while waiting for a parade to start so we stopped at the Cozy Cone Motel to grab some drinks to cool down. 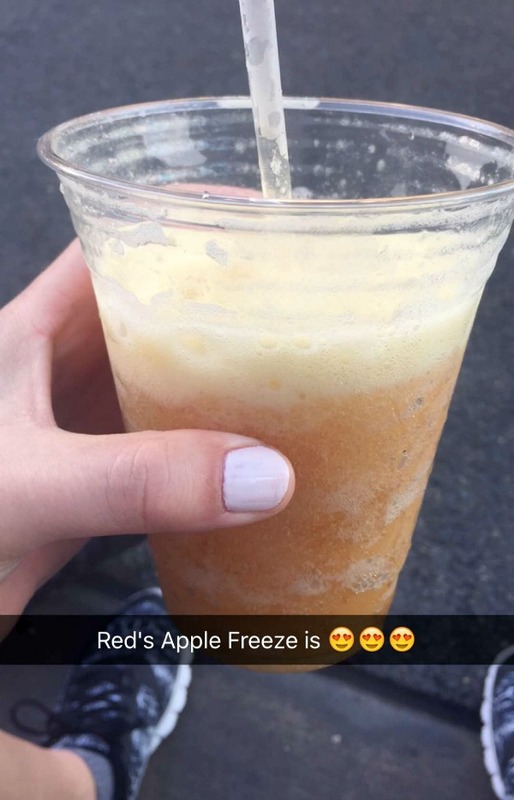 I had Red’s Apple Freeze and absolutely loved it! 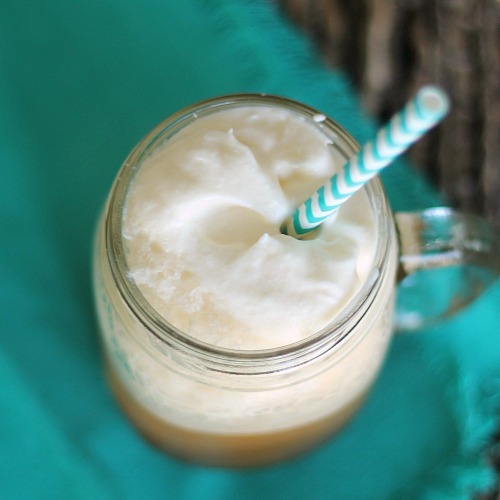 It is a cold beverage with frozen apple juice flavored with marshmallow and topped with creamy, passion fruit froth. It sounds a little strange, but my entire family loved it too! I knew I had to recreate it at home, and it turned out just as good as the one in the park! In a large bowl, beat all foam ingredients together with an electric hand mixer until still peaks form; set aside in fridge until ready to serve. In a blender, combine all slush ingredients and blend until it is a slushy texture. Pour slush into cups and top with foam. I have never seen mango or passion fruit juice juice in stores. Anyone have any idea where to find some?